All rectangular Fractures are automatically cropped to a 4:3 aspect ratio when uploaded. Click here to learn how to adjust the cropping on your image. 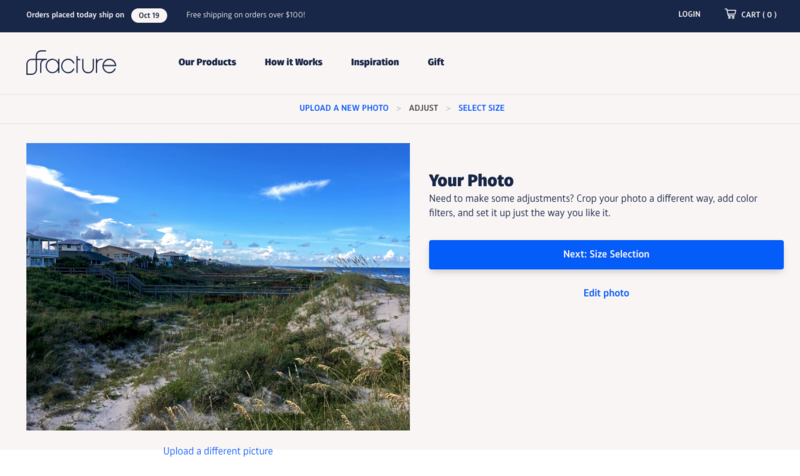 Please note: We don't make any adjustments, edits, or corrections to photos uploaded to our site, so make sure to have your photo file just the way you'd like it before uploading. If you need to make some basic edits to a photo file like adjusting its brightness, contrast, and saturation, you can use the Adjust section of our photo editor to do so. To add text or borders, you'll need to use a third-party photo editing program or website like BeFunky.com. From there, you can re-save your image and then upload it to be Fractured!